We report to parents formally four times per year. Two Student-Led Conferences, and two written Reports. However, parents are welcome to make a time to meet with their child's teacher anytime throughout the year if they have any queries or concerns. During the first 3 weeks of Term One we have a Meet The Teacher evening where parents are able to come and hear about the school routines and expectations. Parents are then invited to visit classrooms and listen to routines and expectations of individual teachers. Towards the end of term One parents are invited to a Student-Led Conference to discuss the progress their child is making, and to find out what the student and teacher will be focusing on next. At the end of Term Two a formal written report is sent home which outlines the strengths and next steps of each child and how they are progressing towards the National Curriculum Standards. 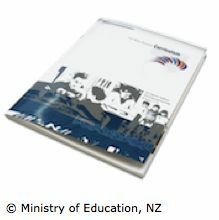 The report also identifies the next learning steps that will be taking place in the classroom. At the end of Term Two parents are invited to a Student-Led Conference to discuss the progress their child is making, and to find out what the student and teacher will be focusing on next. At the end of Term Four a final end of year report is sent home. This report outlines the strengths and next steps of each child and how they have progressed towards meeting the National Curriculum Standards. Technology Reports will be completed at the end of each cycle in relation to the technology process including reflective comments from the students. Finally, at the end of Term Four, students' books are sent home which contain the activities and learning steps which have taken place throughout the year. These books contain feedforward from the teacher on how students have been supported in meeting their learning goals.